Size : 17.9 x 22.4 inches. / 45.5 x 57.0 cm. 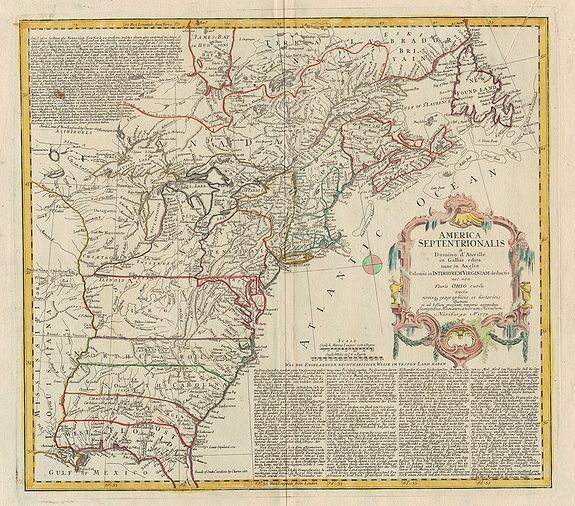 Description :It is a very detailed map of the colonial North America. Condition : Paper thinness (2cmm long) in the centerfold area. A brown spot in the text upper left. Printer's crease upper right. Otherwise in very good condition.